Sign My Name to Freedom tracks the local icon's path to activism, from housewife to the nation's oldest park ranger. “What gets remembered is a function of who is in the room doing the remembering,” Soskin writes. 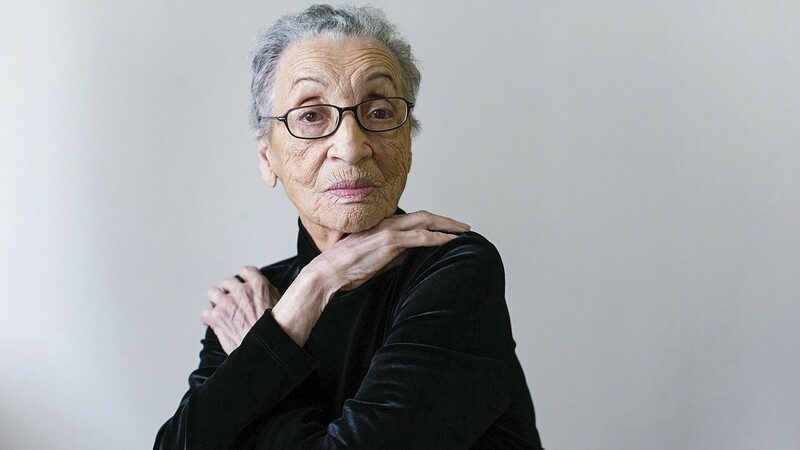 Betty Reid Soskin remembers the days when young women of color had three choices in life: "One, working in agriculture; two, being a domestic servant; or three, marrying well," the 96-year-old interpretive ranger told an audience at Richmond's Rosie the Riveter museum. Her voice breaking, an African-American woman in attendance told Soskin, "My grandmother is 94, and she still sees those choices as the only ones. I wish she could be here today." "I wish she could be, too," Soskin responded softly. Soskin refers to those "choices" in her lectures at the museum, and in her newly published autobiography, Sign My Name to Freedom: A Memoir of a Pioneering Life. But as the woman in the audience, and readers of the book, quickly learn, for Soskin, those choices were far from enough. Local legend, national treasure, and force of nature, Soskin describes her multifaceted journey in her book: "It's like reincarnation without ever leaving." Sitting in her apartment in Richmond's Hilltop Village, Soskin reinforced that idea. "At 96, I'm still having new experiences," she said. "Everything that I ever learned is being put into my work today. Now, with the support of a federal agency [the National Park Service], I'm sharing my truth from inside the circle, as opposed to being an activist looking in." Her road to that activism is chronicled in Sign My Name to Freedom. Great-granddaughter of Leontyne Breaux Allen, who was born a slave, Soskin is a proud Creole, whose family resettled in East Oakland when she was 6. The book vividly describes the area of that era, a vibrant place where she recalls meeting James Baldwin reading his work in a church — but also a place where she wasn't allowed to act opposite a white boy in a school play. By 1943, she was married and working for the war effort. But her job, filing cards as a clerk at the all-black Auxiliary Lodge Number A-36 of the International Brotherhood of Boilermakers, in a Richmond building long since torn down, meant that she "never saw a ship under construction nor a ship launching." It wasn't until many years later, when she became a consultant for what would become the Rosie the Riveter/WWII Home Front National Historic Park that she realized she had never been a "Rosie," and that the story being told about that time was deeply sanitized and did not reflect the experiences of African Americans. She now helps correct those omissions in her lectures at the museum. "What gets remembered is a function of who is in the room doing the remembering," she writes. But she also came to realize, "it was the seeds of social change sown in the Bay Area during the Home Front period of WWII that gave form and substance to the civil rights revolution of the '60s, and that those influences continue to radiate out from here ... to this day." In the Freedom Summer of 1964, Soskin, who was then living as a Walnut Creek suburban housewife — who also happened to be a member of the Black Caucus of the Unitarian Universalist Association and a supporter of the Black Panthers — wrote a song about voter registration from which the title of her book comes: Sunday mornin'...church ain't there/Bombed it Wednesday but ah cain't care/God was down at the Courthouse day/I sign mah name to freedom. Soskin would go on to become an anti-war activist, marry (and divorce) two husbands (with whom she remained friendly until their deaths), rescue the bankrupt Reid's Records in Berkeley (and, in the process, rescue the whole neighborhood), mourn the death of a gay son as she also celebrated his life, and support and love a disabled daughter. She would become an aide to state assemblymembers, mourn the destruction of childhood touchstones during Hurricane Katrina, and thrill to the election of Barack Obama, from whom she personally received a presidential coin (and a hug). Yet even after all this, it was only at the continued urging of her cousin, local journalist, and soon-to-be editor J. Douglas Allen-Taylor, who knew her blogs had attracted a worldwide audience, that Sign My Name to Freedom was compiled. The book is not a traditional, linear autobiography. Like memory, it circles back and forth in time frequently. Some stories are repeated as the different Bettys backtrack to reexamine and re-assimilate them. But as documentation of an extraordinary life, it is priceless. Back in her Hilltop Village apartment, Soskin reflected on a world that seems to have turned upside down again — or rather, retreated from the hope of the Obama years to the chaos and anger of the Trump era. Soskin, unsurprisingly, takes the long view. "I have lived long enough to see that the periods of chaos are cyclical," she said. "Democracy is being redefined, and we are undergoing a period of opportunity for positive change. The injustices that I have had before me all my life — other people are seeing them and responding to them." She touched on a question from a woman at one of her lectures, who asked, "Why don't you speak like other Black people do?" There was, she said, an audible gasp from the audience. The rest of the people there, said Soskin, were likely thinking, "That is not who we are" — as in, haven't we moved beyond those stereotypes? "But it is who we still are," Soskin said, "and the goal is to form a more perfect union by acknowledging it. That's what my work consists of." Betty Reid Soskin will celebrate the release of her book, Sign My Name to Freedom: A Memoir of a Pioneering Life, on Wednesday, Feb. 21, 6 p.m., at Geoffrey's Inner Circle, 410 14th St., Oakland; and on Sunday, Feb. 25, 1 p.m., at Mt. Diablo Universalist Church, 55 Eckley Ln., Walnut Creek.